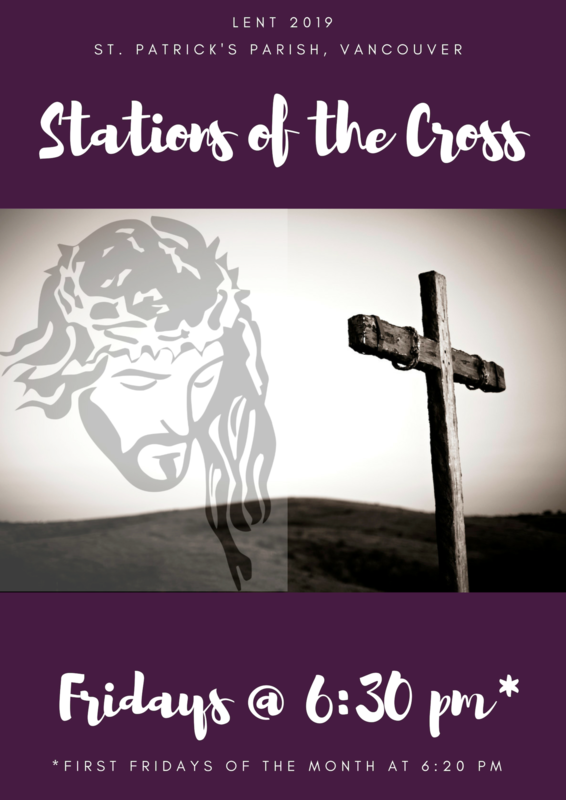 Join us for Stations of the Cross every Friday during Lent at 6:30 pm and confessions at 6:40 pm, followed by Mass at 7:00 pm. 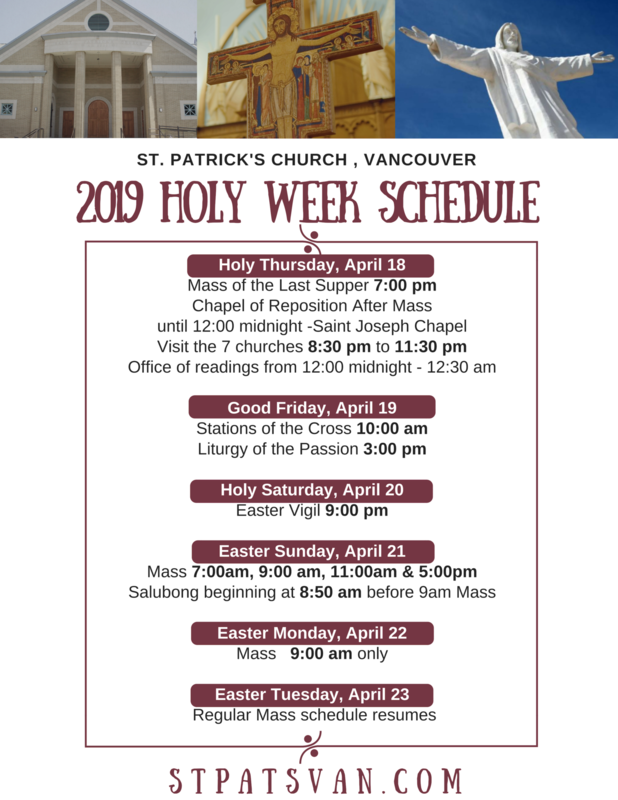 On First Fridays of the month Stations of the Cross at 6:20 pm, followed by Benediction at 6:50 pm and Mass at 7:00 pm. Come with your family and friends to this special Lenten Devotion.